My friends tell me I’m focusing too much on politics lately, so I thought I’d mix it up a bit. Since I just sold our 1993 Daytona and I have my 2008 Nissan Sentra for sale, I thought I’d take a trip down automobile memory lane. My first car was a 1972 Datsun 510 and there is a story behind how I came to buy it, and how I became a driver. I actually don’t remember where I was living at the time, or even where I was working. I must have been working though, since I ended up with car payments. In my recollection (let’s face it – that was a long time ago), I woke up one day and decided I wanted… no, I NEEDED a car. So I looked in the newspaper and saw a couple of cars for sale that I thought were in my price range and I went to visit Islington Datsun. My first car buying experience was a bit surreal. I told the sales person what I could afford and he told me he had the perfect car for me. I actually bought it sight unseen. It was a yellow four door car with a vinyl roof and an A/C unit that had been installed (so I was told) by the Radman in B.C. It was cute. Did I mention I didn’t have a driver’s license? I’m so glad they check those things these days. That’s real progress! The first time I ever drove in my life, was the day I drove that car home. I knew the theory of driving (thanks Dad!) so all I had to do was put it into practice. I did end up getting what was called a Learner’s permit (aka 365) and went for a road test. I was kind of shocked when I failed the test the first time though – after all, I’d already been driving for months! I was experienced! I could devote almost the length of a book to that car, my adventures in it, my misadventures in it, and how I almost quit driving for good because of it, but for now, I want to talk about my cars in general. My father was not a fan of my Datsun. He was a GM guy, born and bred. He never could wrap his head around why I bought a Japanese car and he doubted it was even suitable for our Canadian climate – did they even have snow in Japan? After I got married, my Dad sold us his car, a 1977 Malibu – the famous Iraqi t axi. That Malibu took us to Florida and back, up to northern Ontario, and all over the New England states. Despite not having A/C, it was a very well made car. Our next car was a 1982 Pontiac J2000 (manual trans mission) that my cousin sold me. I’ve heard that those cars were the prototypes for the Sunbirds. Another excellent car – it just didn’t want to die. 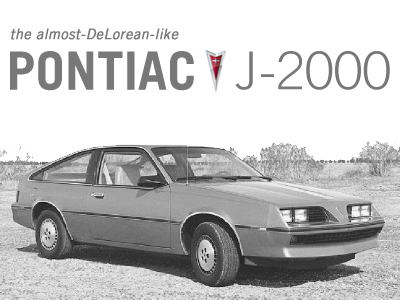 While my father was a Chevrolet guy, I found I preferred Pontiacs. My husband was a Chrysler/Dodge guy but I’m only going to talk about MY cars. My next car was a 1987 Pontiac Bonneville – what luxury! 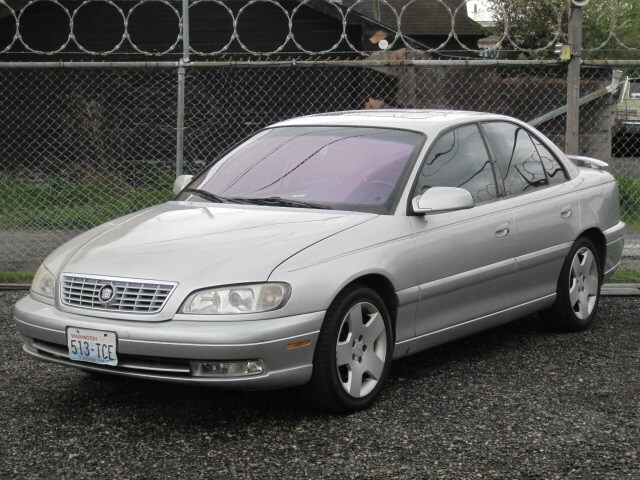 A plush interior, wood-grain dash, V6 engine, A/C, power windows, cruise control, etc. I loved it. I loved it through 2 transmissions and 2 A/C units. The power windows stopped working well, much to the annoyance of people waiting behind me going into the underground parking at work. The Bonneville had given me so many pr oblems (and cost me so much money) that the next car I purchased was a 1995 Saturn SL1 – another manual transmission car. No A/C, and no power windows. Basic transportation became my main priority. I purchased it two years old from Richmond Hill Honda on Yonge Street and drove it for many years. I sold it for $2000 less than when I purchased it. Then my father stopped driving, and he gave me his 1998 Caprice Classic. It was a very comfortable car, but very large. He had hardly ever driven it and the mileage was quite low, but that actually isn’t a very good thing. The problems I had with it had to do with the seals and stuff like that, the type of things that happen to cars that aren’t driven much. It was rear wheel drive and built like a tank. The first time I had to put gas in it, I felt like I might need a second mortgage on my house to afford it! The first “brand new” vehicle I had ever purchased was a 2002 Pontiac Montana minivan from Slessor Motors in Newmarket. It was hard to believe that it ended up being worse than the Bonneville. I loved that minivan – the ergonomics were fantastic, the fuel consumption decent, the engine design? not so much. Around 100,000 kms, the cylinder heads cracked (both of them) and that caused a problem with coolant. I don’t understand the whole thing, but it involved the intake manifold gasket, cost $3,000 to repair and was part of a class action lawsuit against GM. I must be a slow learner because after I sold the Montana, I purchased a 2001 Cadillac Catera from Broadway Motors – which I quickly came to realize was just a prettier piece of crap sold by a slimy used car salesman. Within just a few months, the heating module needed replacing, followed by the module for the high beam lights, each of which was a few thousand dollars to replace. On top of needing premium gas, it then started burning oil. I purchased it for $10,000 and was only able to get $3000 on a trade in about 6 months later. What an expensive lesson. The trade in was for my 2nd “brand new” car – a 2008 Nissan Sentra. It’s a car I still own (although I just listed it for sale). For those that don’t know – Nissan is actually Datsun. It seemed I had come full circle (sorry Dad! ), and my Sentra was the very best car I’ve ever owned. It had all the features I needed and wanted, and it never, ever broke down or left me stranded. Whoever buys this car is definitely getting a gem. Great fuel mileage, and still warranty left on the CVT transmission. So, what have all my cars taught me? They’ve taught me that things change. When I bought my first car, GM was quality and the Japanese imports were the cheap cars that students bought. Isn’t it funny how that got turned around? It reminds me of political parties. The Conservatives are kind of like GM; once they were a decent party, but things change. And the Liberals are acting more like NDP in this election. So the lesson here is don’t make your decisions based on historical experiences. You need to look at each party (like each car manufacturer) to see what they’re like today and try to figure out if you think they’re going to be reliable or if eventually, they’ll let you down and disappoint you. This w ork is licensed under a Creative Commons Attribution 4.0 International License. This entry was posted in Uncategorized and tagged 2015, bonneville, broadway motors, Catera, Conservatives, datsun 510, election, islington datsun, j2000, Liberals, Memory Lane, Montana, NDP, Nissan, Politics, Saturn SL1, Sentra, slessor motors, used cars by Suzette. Bookmark the permalink.